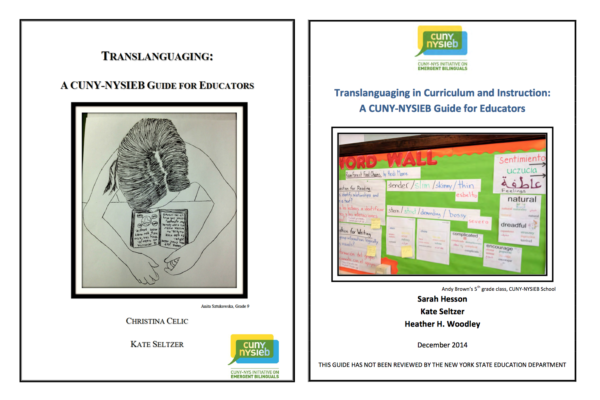 The crown jewels of CUNY-NYSIEB, these guides offer dozens of strategies and approaches for teachers working with emergent bilingual students at all grade levels and in all program models. This guide provides concrete strategies for experimenting with translanguaging in their classrooms. Click here to download a copy in PDF format. Esta guía es una traducción abreviada de la guía en inglés, “Translanguaging: A CUNY-NYSIEB Guide for Educators” y tiene estrategias concretas para experimentar con el translenguar en sus salones de clase. Translanguaging can be seamlessly integrated into units of study aligned to the Common Core State Standards (CCSS), enabling students to meet the rigorous standards to which they (and their teachers) are held. This guide adapts one unit of study from Expeditionary Learning, a CCSS-aligned curriculum adopted by New York State, as well as 8 new units of study with the same basic format. Download a copy here. This guide extends an invitation to teachers of all grade levels, and across disciplines and programs to examine how you currently instruct writing, and to try out innovative tools and practices with your emergent bilinguals. We situate ourselves within a long trajectory of writing educators and scholars, as well as offer a novel “language as a resource” perspective on the teaching of writing based on the CUNY-NYSIEB principles. 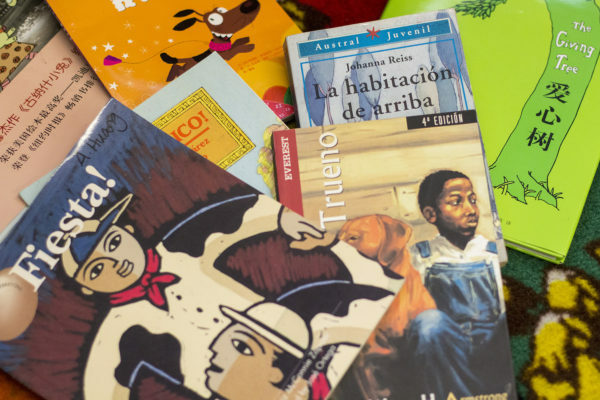 Translanguaging in Latino/a Literature: A CUNY-NYSIEB Guide for Educators: This guide offers analysis of language use in 32 works of Latino/a literature that are appropriate for Grades PreK-12, analyzing 17 books for grades PreK-6 and 15 books for grades 7-12. The analysis of each book includes lexile level, themes, author biography and website, a list of supplemental resources, a summary of the book, and an analysis of the way that the author uses translanguaging, the flexible use of linguistic resources, in literature. The Languages of New York State: A CUNY-NYSIEB Guide for Educators: Learn more about the languages your students speak! This guide provides information about the top ten languages other than English spoken by emergent bilinguals. Descriptions include a brief history of the language, a few details about the cultures of the people who speak the language, and their experiences in New York State. It also includes some basic structural features of the languages as well as cognates and basic phrases. Download a copy. Unpack the strategies in the guides through these series of videos, which provide an introduction to the documents. We would like to thank Ms. Leilani Mabrey for sharing her lesson and materials for this online presentation.